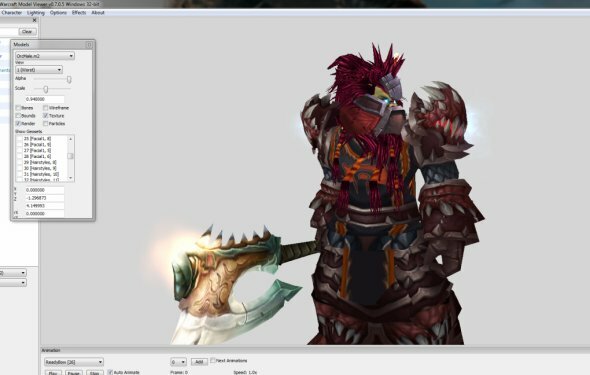 WoWmodelview is a 3D model viewer for World of Warcraft. It uses the data files included with the game to display the 3D models from the game: creatures, characters, spell effects, doodads etc. You can dress up and customize the character models. Q: It doesn't have (new item from latest patch)! / It displays (recently updated item) incorrectly! A: Sorry. The database of items and their corresponding models/textures is not public, and it's not easy to keep a current database compiled. Please try the newest item list, see above. Q: Can I change my character's in-game appearance with this? A: No, please use an mpq editor for that.